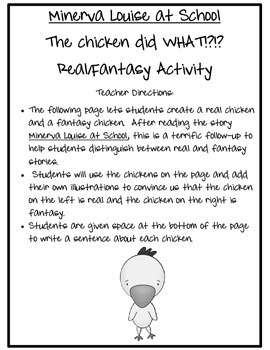 This comprehension page lets students create a real chicken and a fantasy chicken. After reading the story Minerva Louise at School, this is a terrific follow-up to help students distinguish between real and fantasy stories. 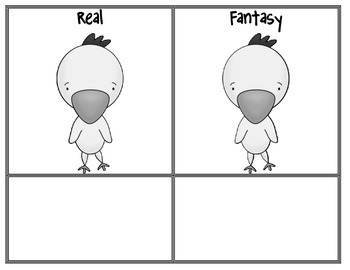 Students will use the chickens on the page and add their own illustrations to convince us that the chicken on the left is real and the chicken on the right is fantasy. Students are given space at the bottom of the page to write a sentence about each chicken.